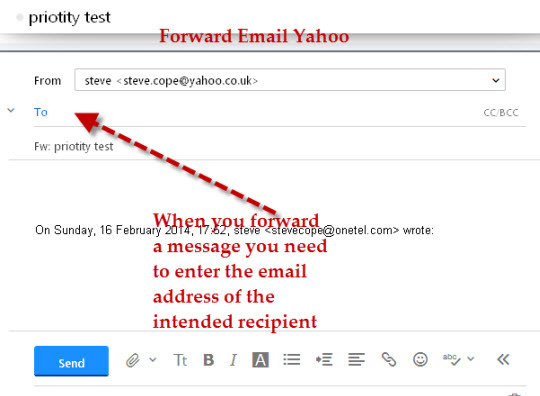 In this tutorial we look at how to read, Reply and forward emails using The Yahoo Web Browser client. Managing read and unread emails. Marking emails for future reference. Incoming Email is normally placed in your inbox. With message preview enabled you can see and read the opening paragraphs of the message in the preview pane without having to open the email. Generally if you select a message (shown in grey) then a preview is shown in the preview pane under the inbox messages. This preview can be turned off, and the pre-view position changed using the view menu. Messages will generally be marked as read after a short time of being previewed. This can be changed in settings. Unread email is shown in bold, and email that has been read is shown in normal type. The figure in parenthesis next to the inbox is the number of unread messages in the inbox. To read an email double click the message, and it opens so you can read it. The message is immediately marked as read. Once the message is open for reading you can use the up and down arrows to scroll through your email messages in the inbox. To close the message click the X next to the up-down arrows, and to delete a message click the trash can. To reply or forward an email you will first need to open it. The message below was sent to multiple recipients.You can see that the to line contains several addresses. These email addresses are the addresses of the other recipients of this email. You can also see the name of the sender (steve). In this case a name is used as the sender, otherwise you see an email address here. If you use the reply option then the reply message will be sent to the original sender of the message. The reply message will contain the original message and the reply message. If you use the reply all option then the message will be sent to the email sender, and also to all of the original recipients i.e. those recipients whose email address was on the to or cc line of the original email. You should be careful when using the reply all option. Note: The original message and any attachments are forwarded, but you can remove the attachment before forwarding if you want. Don’t forward large attachments unless you really need to. Notes: When you reply,reply all or forward a message the reply message will normally contain the original message and the reply. You can remove the original message if you wish, as it is simply a part of the reply message, but auto inserted. This is quite common when forwarding as the original message in this case will normally show the email address of the original sender. To remove the original message and address just highlight it and delete it. Clicking reply will send one message to the original sender. However reply all will send a message to the original sender and also to any email addresses that where on the to or cc lines of the originally message. 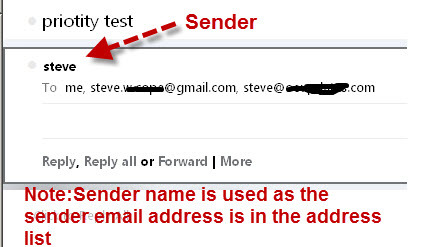 When you reply to an email the reply is normally sent to the email address of the sender. 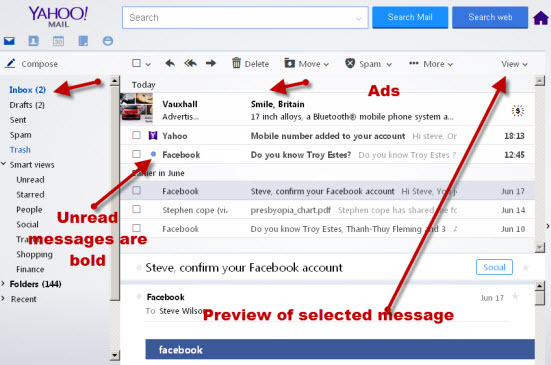 However all email client let you change the reply to email address. 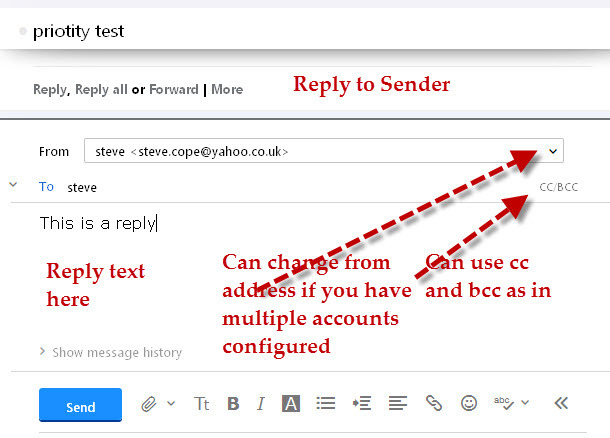 This means that you can send an email as user A but have replies sent to user B. 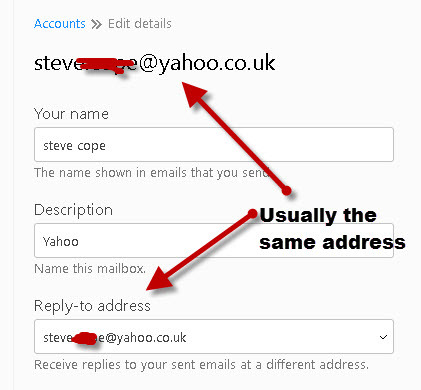 On Yahoo mail you can only use email addresses that are part of your email account. You use don’t normally use this option. 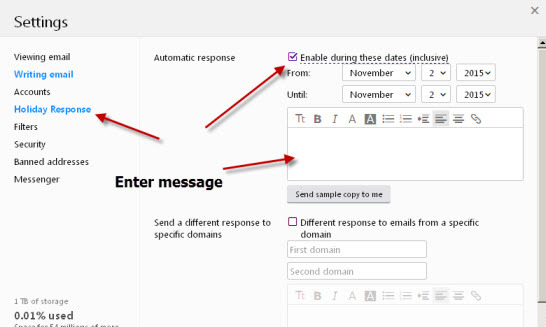 Yahoo will let you create an automatic response for when you are away and unable to respond to emails. Although it might seem rather cool it does represent a security issue and I would advise against using it. If you do use it be careful what you say in the auto response message. See Out of Office Responses and Auto replies. If you think that will need to return to an email maybe you intend to reply at a later date then you can mark the mail by using the favourite or star option. Click on the star icon as shown below and it turns yellow. 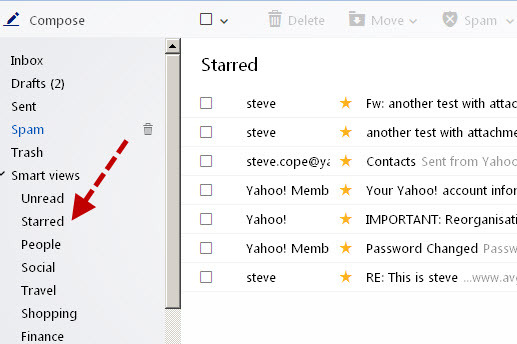 You can easily located the starred messages by going to smart views>starred. You can download individual attachments or all attachments if you have several. 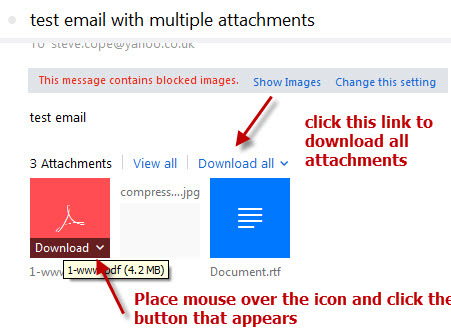 To download an individual attachment place the mouse over the attachment icon and click on download. For multiple attachments use the download all link. The attachments are placed in the downloads folder (specified in the browser) on your PC. On Firefox this settings is under Options>General. 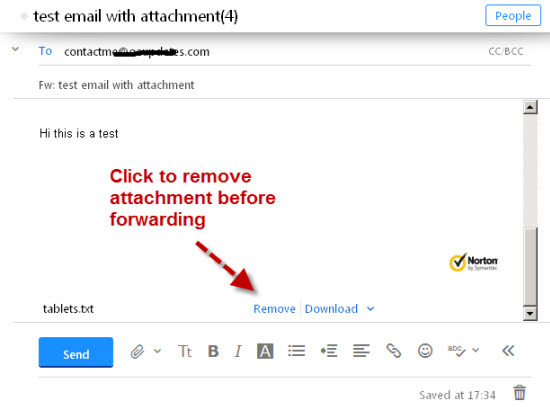 Note: Downloading a attachment does not remove it from the original email. Many people advise that once you have read an email and don’t need it any more you delete it. If you aren’t sure you don’t need it then you can archive it. Archiving an email moves the email to the archive folder and clears up your inbox. Deleting an email moves the email into the deleted items folder, but the email can be retrieved. To permanently delete an email you need to empty the deleted items folder. Often you need an hard copy of something that you receive as an email. 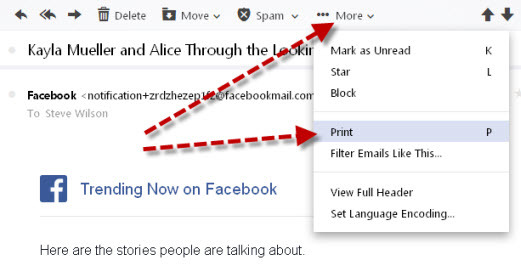 To print an individual email in the web based client open the email and click more then select the print option or open the email and hit P on the keyboard to print. There doesn’t appear to be a way of printing multiple messages using the web based client. Can I read email that I have deleted ?- Yes if it is still in your trash or deleted items folder. Does the sender know that I have read the email? – No The Yahoo web client doesn’t support read receipts . I Can’t read old messages as they aren’t displayed on my Smart Phone- On some devices you will find that only the latest messages are displayed and accessible. There is usually a setting to let you view all messages. 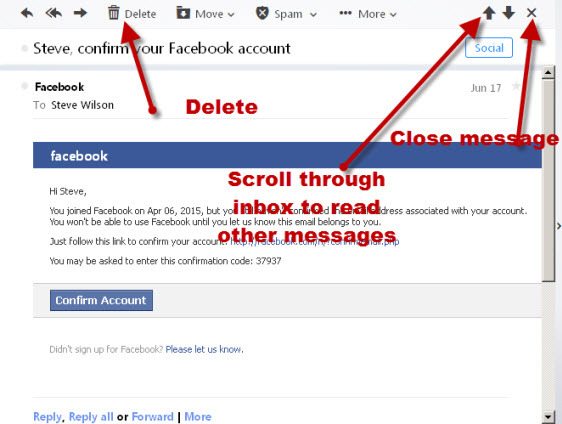 Can I read my email using my email client on my Laptop as well as using my browser.? – Yes but be careful if you use POP3 on the client. Can I read email when offline? –Yes but you need to use a pop3 or IMAP4 client like Windows live mail. Can I remove the original message from the reply? – Yes, just highlight it and delete it.